The prospect of greater opportunities is a driving focus for Ambrose Treacy College, who have become the newest member of the AFL Queensland Schools of Excellence Program. The school, which is situated on the banks of the Brisbane River in the city’s western suburbs, is the thirteenth school to gain entry into the exclusive Schools of Excellence Program. “We see this as an extremely exciting opportunity for the College to build on the strong AFL culture and traditions within the school,” Head of Sport and Coaching Development, Nathan Burgess told aflq.com.au. Ambrose Treacy College will compete in the Junior Male Division in their inaugural year, with students enrolled in years seven to nine in 2019 eligible for the program. Already, trials for the program have been conducted with more than 70 students in attendance, highlighting the popularity of the sport at the school. In 2018, the College boasted over 100 club registered players in the AFL Brisbane Juniors competition and Burgess suggested the talent in the blue, white and green will hold them in good stead in the program, while also offering a new opportunity for new players to experience the sport. “We see the School of Excellence Program as a value-add to those boys already playing footy, offering them highly qualified coaches, strength and conditioning programs and close mentoring that they may not otherwise receive through their club. Previously, the school competed as a club in the AFL Brisbane Juniors competition and played games at Chelmer Sports Inc., where they share a lease with the Kenmore Bears AFL Club and Wests Cricket Club. 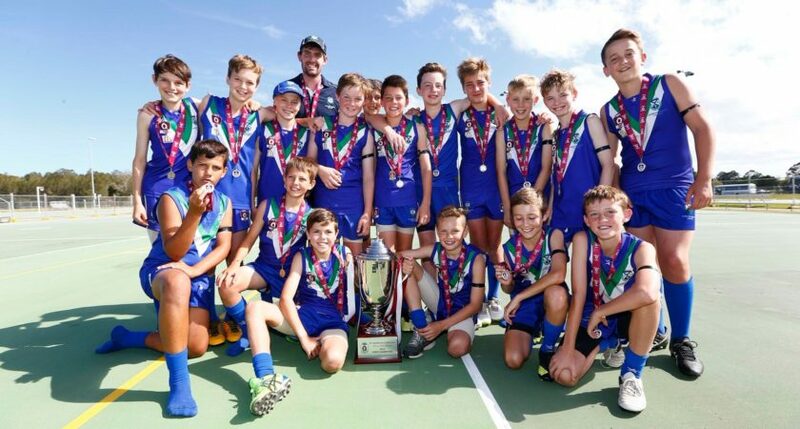 In 2016, the College were also crowned the inaugural Primary Male AFL Queensland Schools Cup State Champions, with many members of that victorious team vying for selection in the inaugural ATC School of Excellence squad. The footballing prowess at Ambrose Treacy College extends off the field and into the classroom with current Brisbane Lions AFL Women’s utility Sharni Maclean a teacher at the school. AFL Queensland Programs Manager – Schools and AFL9s, Amy Anderton, congratulated Ambrose Treacy College into the Schools of Excellence Program. “We are pleased to welcome Ambrose Treacy College into the AFL Queensland Schools of Excellence Program for 2019 and look forward to seeing their Junior Male team out on the field,” Anderton said. Member schools participate in an elite interschool competition during Terms 1 and 2, which top seeded teams advance into the AFLQSCup State Qualifying and Semi Finals.